Yeah, we know. You sent them Save the Dates. 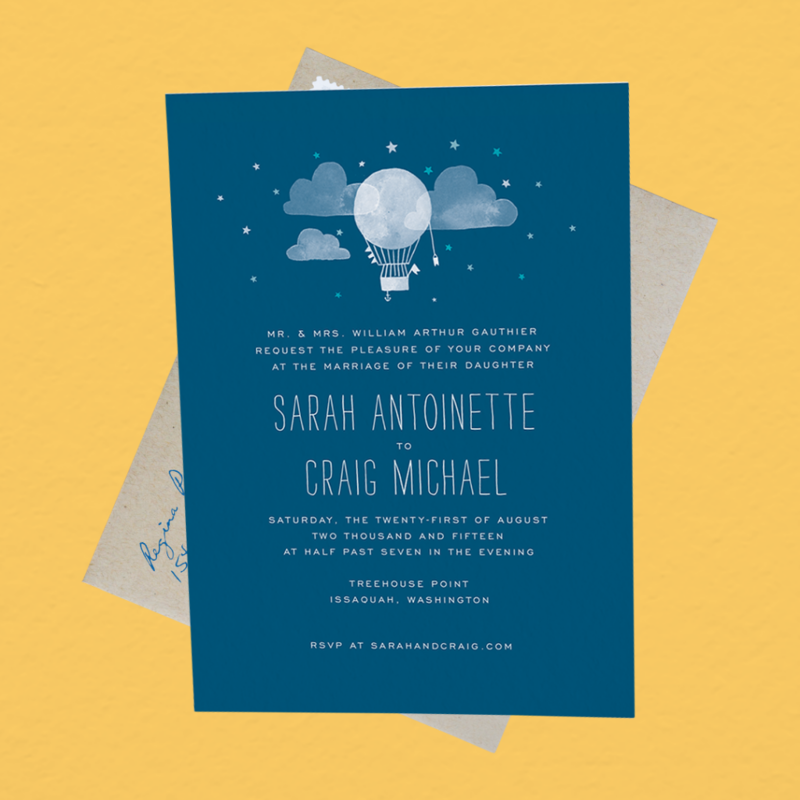 You gave them their own little RSVP card and a pre-addressed, pre-stamped return envelope. You let them RSVP online via your wedding website so they wouldn’t even have to get up and find a mailbox. You made it so easy. BUT the wedding’s a few weeks away and a handful of your nearest and dearest (and apparently laziest) still haven’t RSVP’d. WTF do you do?! Step 1: Stay calm. Easier said than done but speed dialing your college roommate and giving her a 20 minute lecture on what Respondez S’il Vous Plait means will help no one. 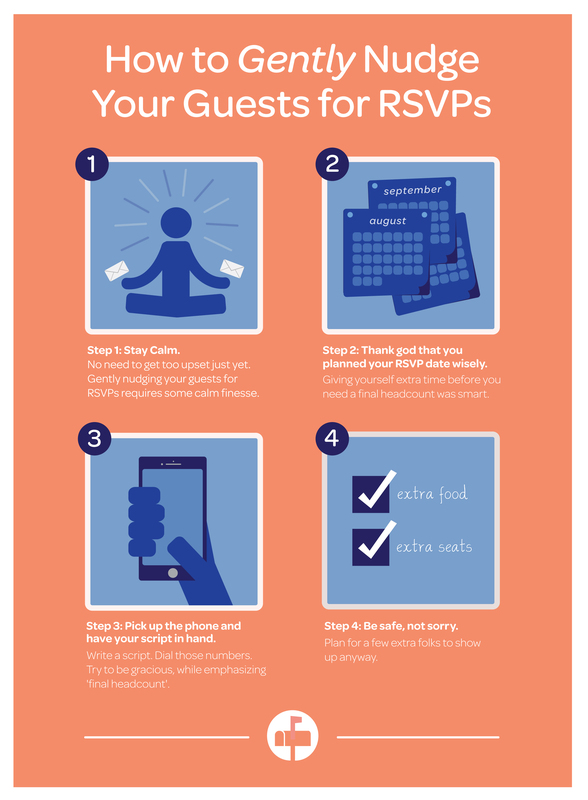 Step 2: Thank god that you planned your RSVP date wisely. 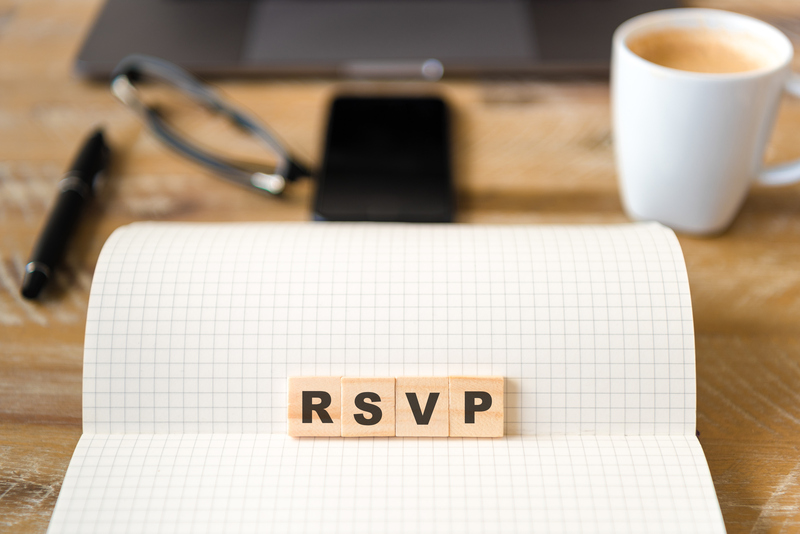 This step actually comes way before—back when you set your RSVP date a week or two before you need to give your caterer a final head count. Step 3: Pick up the phone and have your script in hand. “Hey ____! Just wanted to make sure that you received our invitation. I need to give the final head count to the caterer by Friday and wanted to know if you’ll be able to make it. We really hope you can. Thanks!” Be upbeat. Be gracious. Put extra emphasis on that “need to give the final head count to the caterer” bit. Step 4: Be safe, not sorry. If you’re still listening to silence on the other end, plan for a few gatecrashers and tell your caterer they’re coming. If they still don’t show—hey, looks like someone gets an extra plate of salmon.